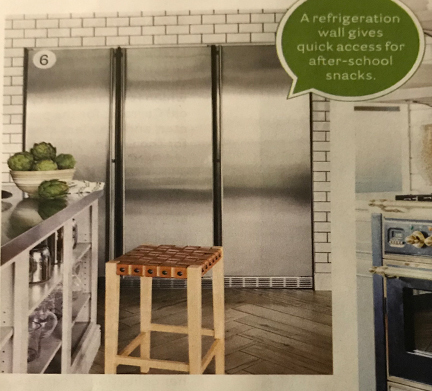 We never cease to be amazed by the inventive ways designers configure and customize products, and it's always exciting to see pieces we know so well--straight from our partner catalogs--featured in high-profile shelter mag spreads in ways we could never have imagined. 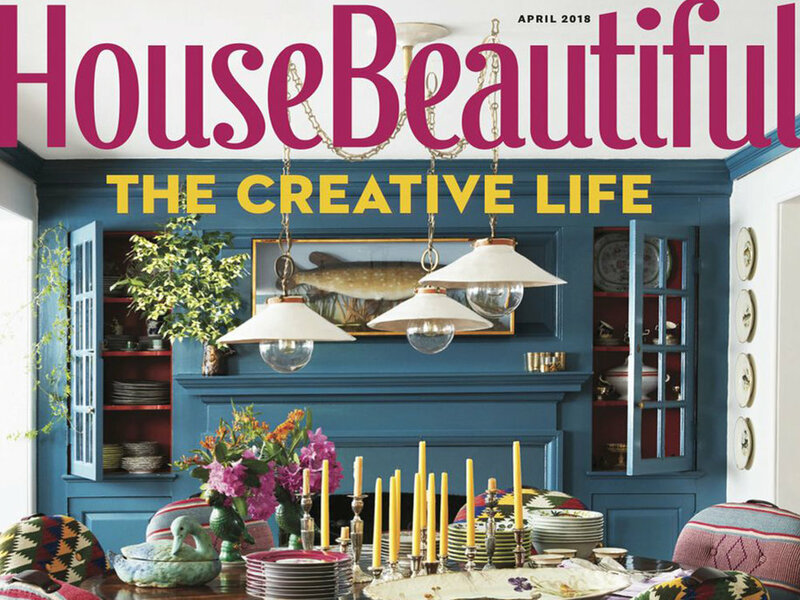 The current print issue of House Beautiful has so many gorgeous stories--and we are absolutely loving Sophie Donelson's discerning eye and editorial direction these days--but Jane Green's Kitchen of The Month definitely caught our eye (pp 52-56); in particular, the "refrigeration wall" on page 54. The copy reads: The "refrigeration wall" has three Liebherr units, including one freezer. "With six kids, you need a lot of fridge space," [Jane] says. We are huge Liebherr fans and always knew they had multiple modular built-in options, but somehow never thought about lining up 3 externally identical 24" units along a wall. Now that we see it in a residential setting, it makes so much sense, both functionally and aesthetically. Another giddy discovery was the Oly Diego bed in textile artist Sharon Lee's home (pp 72-79). When we think of Oly's clean, artisanal aesthetic, we don't picture intricate pineapple-print bed curtains or Balinese quilts, but the combination is undeniably stunning, and so much more than the sum of its parts. We'd love to know how you've customized Steelyard products in your own projects. Drop us a line anytime at editorial@steelyardaccess.com. And if you're not a member of Steelyard, what are you waiting for? It's free to professional interior designers & architects. No catch, no funny business--just clean and protected access to your favorite trade brands like Oly and Liebherr, plus plenty of great under-the-radar brands you'll be thrilled to discover.